Effective note taking is one of the keys to succeeding in school. Students should devote a considerable amount of time reviewing information discussed during classroom lectures. It is very difficult to remember specific details–event major concepts–from classroom lectures without good notes. Make sure to take legible and accurate notes since it is not uncommon to forget key details discussed during class after it has ended. Frequently, students comprehend the teacher's lecture and think they'll remember everything, so they neglect to jot down specific details only to find later that they can't recall what it was they needed to remember. Students who keep accurate notes can review them later to review key points, recall necessary detail, solidify knowledge and study up on concepts they didn't fully comprehend during the lecture. Additionally, since teachers frequently cover many topics during the course of their lectures, effective notes enable students to concentrate on specific topics that are most relevant. Students properly prepared for class usually take better notes than those who come unprepared. Proper preparation includes completing assigned reading prior to class and reviewing notes from previous lectures. Students who review their notes from previous lectures (1) will have a better context for learning new topics presented in the next lecture and (2) can ask questions about confusing concepts the didn't quite understand from the previous lecture. To ensure your notes are as accurate and detailed as possible, compare them with the notes of other students after class is over. This is useful because your colleagues will frequently write down lecture details that you forgot or missed. This strategy will make classroom notes more thorough and precise. Effective note takers avoid classroom distractions. This can include sitting in spots with fewer distractions and not signing up for classes with friends that you might want to talk with during lectures. Some students will even sit in spots where it is difficult to constantly glance at the clock. Notes organized by date, class, and subject make it easier to locate specific lecture details. It is also a good idea to keep information from different dates and classes separated or to begin each class with a new piece of paper. A good format for organizing your notes is the Cornell System for Taking Notes. Since teachers usually cover a lot of information during each lecture, it can be hard to write down everything important they say. This is why we recommend using symbols and that you abbreviate long words and use short phrases in your notes when possible. Many students use the following symbols and abbreviations while taking notes: & (and), w/o (without), eg (for example), ie (that is). When utilizing abbreviations, create a key of your most commonly used abbreviations, so you will not forget what they are. The most copious notes will be of no benefit if you can't read them. This is why it is important to use good penmanship when taking notes. It is also recommended that you leave space in margins and near key concepts in your notepad, so you can add important details relating to previous lecture topics that are addressed during future lectures. In order to retain information discussed during lectures, it is best to review notes immediately after class. This will help you better understand the lecture, your notes, and it will enable you to focus on what you just learned for long-term retention. You should review your notes a second time just before your next lecture. This will help refresh in your mind important topics and concepts, and prepare you for the next lecture. You should continue to review your notes on a regular basis between your lectures and your exams. No matter how intelligent a student is, from time to time they're bound get confused and end up having questions unanswered by the lecture. For this reason, it is a good idea to write down questions to ask after class, or during subsequent lectures. You can also answer your own questions through a web search, a tutor, other student or by using reference books–but only if you wrote down your questions in enough detail during the lecture. If you want to increase the effectiveness of your studying and performance on exams, it's imperative to learn how to take good notes. Effective notetaking is a key element of the formula for success for successful students. The world has become increasingly digital, and it’s become ever more common for students to take notes using their tablets and laptops. However, research shows that taking notes on these devices, instead of by hand, actually reduces how much a student remembers. According to researchers Pam Mueller and Daniel Oppenheimer, people often try and take verbatim notes on their devices, while they often abbreviate their notes when taking them by hand. Students have to be more selective about the notes they take when taking them by hand, so they are more actively engaged in the lecture. This means that students often remember their hand-written notes better than they do their digital ones. Students should consider dropping the digital devices in favor of taking notes using old fashioned pen and paper. If your instructor has Power Point displays on the screen that are heavily text based, you may want to avert your eyes. Human beings only have so much working memory. They can only devote so much of that memory to both listening and seeing the world simultaneously. If you’re sitting in on a class and your lecturer is basically saying the same thing as what’s on the Power Point slide, then just don’t look at the Power Point. Students who try to listen and read identical content at the same time actually end up remembering less because they strain themselves trying to process identical audio and visual information at the same time. Researchers Adesope and Nesbit referred to this as the “redundancy effect,” when text and speech are identical. The number of mental processes going through a student’s mind is known as cognitive load, and that load gets too heavy when identical information is presented in both visual and audio forms. This leads too poorer learning. The problem is made worse when students try and write down Power Point notes verbatim. Much like with taking digital notes, this reduces the amount of effort they can devote to engaging with the lecture that they’re listening to. To optimize note taking, students should focus on the words being spoken, be selective in what notes they’re taking, and records those notes in physical form. This approach is likely to lead to better memorization and learning over time. Over time, various methods of taking notes have been developed. These systems were designed to help students take effective notes without too much trouble. After learning the method, students can more effectively follow along in class and take notes as they go. These approaches are designed to reduce the time and attention students need to devote to taking effective notes, leaving them able to focus on the lecture. Take, for instance, the outline method. 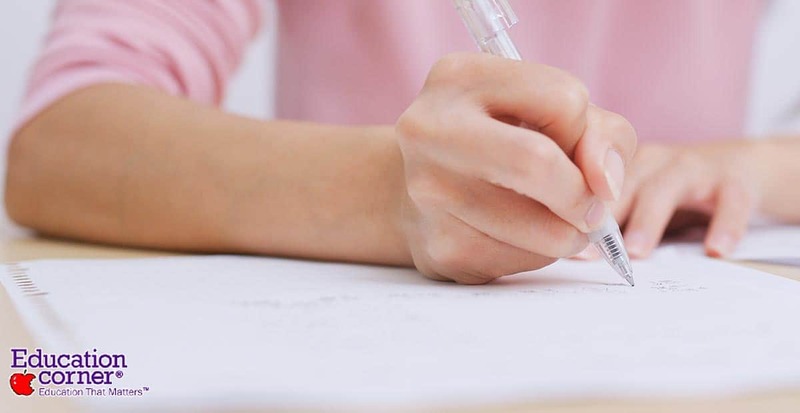 The outline method reduces the time that students need to devote to writing out notes by simplifying notes into single sentences divided into subheadings. The top heading includes the main topic, the second heading is the sub topic, and the third heading includes a supporting fact. So, students might write “World War II” as the main heading, “America entered the war because of Japan” as the subtopic, and “Japan bombed Pearl Harbor” as the supporting fact. Simply by limiting the number of notes taken to core ideas, students can devote more time to listening. Because this approach limits how much information is captured, it may not be suitable for information dense discussions, such as science or mathematics lectures. Another method that can help is the charting method. The charting method involves creating what amounts to a spreadsheet. The first column of the spreadsheet contains the topics being covered, and each subsequent column includes more detailed information about the topic. This spreadsheet approach is best suited for documenting a heavy amount of information, so it’s best when there is going to be a lot of information that needs to be remembered. However, because it is supposed to be used to capture a lot of information, it’s not well suited for use during lectures. It draws too much attention away from listening. However, it’s ideally suited for independent study, when students are taking notes on their own time.